I make these recipe plans using Plan to Eat.com’s meal planner. I really love it! 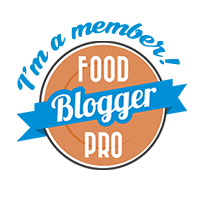 Hey, my frugal foodies! How’s your month going so far? Mine’s been pretty good. I’ve been cooking a lot this month and posting recipes as fast as I can. It’s fun but a lot of work! And I have a lot more to do! This week, we have three birthdays in our family. Baby Foodie will turn 2 and his oldest brother will be 25! Wow, where did the time go? My dad is sandwiched in between them and will be “29 again plus taxes”. Practice makes perfect, right? Needless to say, all the celebrating tends to hit the wallet a little. I’ll be making a cookie pie for Baby Foodie, and trying to keep it fairly healthy. We bought a cake for Teen Foodie earlier this month for his birthday and not only was it overpriced, it tasted awful. We’ve gotten away from a lot of processed foods, which is why I cook as much as I do. We rarely eat out, and when we do, we really pay for it. Not just monetarily! I’ve got a lot of recipe development planned for the weekend. It seems to be the best time to relax and get creative. It’s usually just too crazy here after work. I’m trying to feed everyone and get some quality time in with them. The last thing I really want to do is stop and take pictures every 5 minutes. So I’m shifting as much of that as I can to the weekends, when I can play in the kitchen, take pictures, and write about it. I still try to make a few new recipes every week. It keeps the creative juices flowing. What are you trying this week? My budget for this month was $400. Unfortunately, I overshot it by $73. I was really hoping to save a lot by harvesting from the garden, but it’s gotten off to such a late start. Between the birthdays and the cookout, I don’t think we did that badly. I’ll be posting a monthly review of the budget and meals soon. You can see last month’s review here. For more ideas on cutting your grocery budget, check out our frugal basics section. It really does pay to shop at more than one store. Aldi is great for many things, and is consistently cheapest with high quality items, but sometimes Kroger has some incredible sales. And then sometimes Aldi will drop their prices to compete. These two stores are across the street from each other here, so I hit Kroger, then Aldi on my lunch hour and do quite well at both. Both stores have a decent selection of organic and health foods. That’s great, because we have no local health food stores in the area. If I can’t find it at one of these stores, I usually order from Amazon. The best deal I found this week by far were the chicken leg quarters on sale at Kroger for .49/lb! I haven’t seen it that low in ages. I remember that they used to be .29/lb at one point, but it was a long time ago. I snapped up 40 pounds and am working on an article about five different ways to make them. The first one is Roasted Sticky Chicken Legs. But there is more fun to be had with these wonderful, frugal morsels! It pays to check out the ads online before you go grocery shopping. I forgot to, and was very surprised to find this deal! Kroger often puts these yellow markdown labels on things, but they’re not always that obvious when you’re walking by. especially if they’re not at eye level. I’ve learned to look for them. Aldi’s “Picks of the Week” have been really good lately. An easy, cheap way to stock your freezer and fridge! I was surprised to find that Aldi is carrying chia seeds now, and for a decent price! They’re also carrying flax seeds. Aldi just keeps getting better and better! These pumpkin seed tortilla chips might be good. It’s nice to see Aldi is trying lots of new things to give their customers variety.